How much radio range do you need to keep in contact with friends, family, or coworkers? This question comes with a lot of different answers! Necessary range distance will vary depending on your use of two-way radios. Most likely you know someone who has purchased a two-way radio only to be disappointed by its actual range capabilities. This is a common issue that people face when comparing the advertised range to the actual range they are able to get. You don’t have to deal with this mess; here we explain how you can secure the best two-way radio range possible. Family Radio Service (FRS) includes lower-power units that can transmit via 7 FRS channels and 7 additional shared FRS/GMRS channels, granting a total of 14 different communication channels to select from. 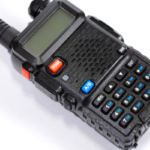 General Mobile Radio Service (GMRS) include higher-power radios that can operate any GMRS or FRS bands, granting you a total of 22 channels to select from. The average radio now comes with access to all 22 FRS and GMRS channels. In order to utilize GMRS channels you need a five-year license from the Federal Communications Commission. Range Advertised Up To 25 Miles… But Is It True? Many basic two-way radios come with a statement on the packaging which promises “up to 25 miles” of range. Read the reviews from dissatisfied costumers and you will quickly realize how unlikely this range really is. More realistically, in 90% of all instances this range might actually be closer to 2 miles or less… a far cry from 25 miles! How could this be, and why hasn’t someone alerted the authorities in regards to false advertisement? In optimal conditions, in which stock two-way radios are tested, they do reach ranges near 25-miles. The issue is that in the real world ‘optimal conditions’ are hardly a reality. Instead, a number of natural and unnatural factors get in the way and interfere with connectivity. 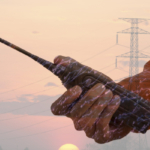 What Causes Two-Way Radio Range To Decline? The topography of a location, lots of hills, canyons, or ridgelines can interfere with reception. The current weather, for instance if there are thick clouds or lightening. Any sort of large obstruction, including a tree-bloated forest, or a man-made building. Surfaces made of metal, for instance range within a vehicle is usually limited. The human body can even impact how well radio waves are transmitted and received. You are dense and made of water, two factors that can decrease a radios ability to communicate properly. This is why in some cases it helps to attach your radio to something not directly connected to your body. 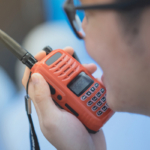 Higher-powered radios are capable of overcoming many of the obstacles lower-powered radios cannot. 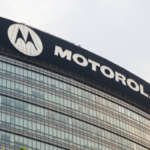 What Improves Two-Way Radio Range? Out on the water or along a shoreline two-way radios tend to get very good reception. Any setting that is flat without much, if any, obstructions. 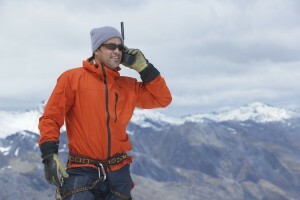 Height improves reception with two-way radios. If you are situated on a hill several hundred feet in elevation overlooking a flat valley you will experience ideal radio range. If you move up too high in the hills though, you can start to pick up too much range. In which case you will be able to hear communication from a number of different, and rather distant radios. The future of radio communication is changing rapidly, and we are proud to be at the forefront of these transformations. Your business can’t rely on two-way radios unless you know for a fact they can communicate across the advertised range. That’s why a Wide Area Network provides the perfect solution to reliable two-way radio communication. Just as the name suggests, a Wide Area Network allows you to operate your radios over a vast distance, reaching as much as 300 miles. This new technology relies on a number of radio infrastructure sites that are all connected together as one. Your two-way radio system comes with its own IP network address, which is used to identify your signals as they are sent and received. The process takes a mere second, delivering flawless results despite distance, hills or other obstructions that might otherwise get in the way of radio range. Thanks to Wide Area Network you never have to worry about two-way radio range again. Highland Wireless offers the widest two-way radio range in Florida, stretching across Miami, West Palm, Orlando, and Tampa. Contact us today to learn more about our Wide Area Network and all that it can offer you!